Bay City, Michigan wide receiver Devell Washington released his Top 5 via Twitter on Tuesday. Washington’s list included Ohio State, Michigan, Michigan State, Purdue, and West Virginia. Washington (6-4 215) is a 3-star prospect and ranked the No. 100 wide receiver in the 247Sports Composite. He holds offers from each of his top five, including other schools like Kentucky and Iowa State. 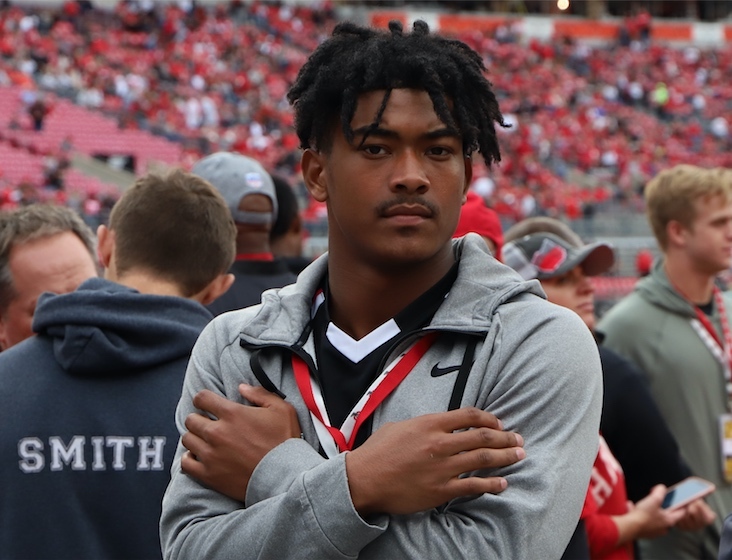 Washington has visited Ohio State a number of times over the last year and recently put in a very strong effort at The Opening Regional in Massillon. A physical receiver, Washington was able to use his body to out-muscle defenders at the combine, proving to be an effective red zone option. Those are some of the same skills that his junior season highlights show below as well. The Buckeyes already have two receivers committed in the 2020 recruiting class, and they are expected to sign two or three more in order to continue to refill vacancies. Ohio State lost three receivers this past season and will lose four more after this season in Austin Mack, KJ Hill, Binjimen Victor, and CJ Saunders. 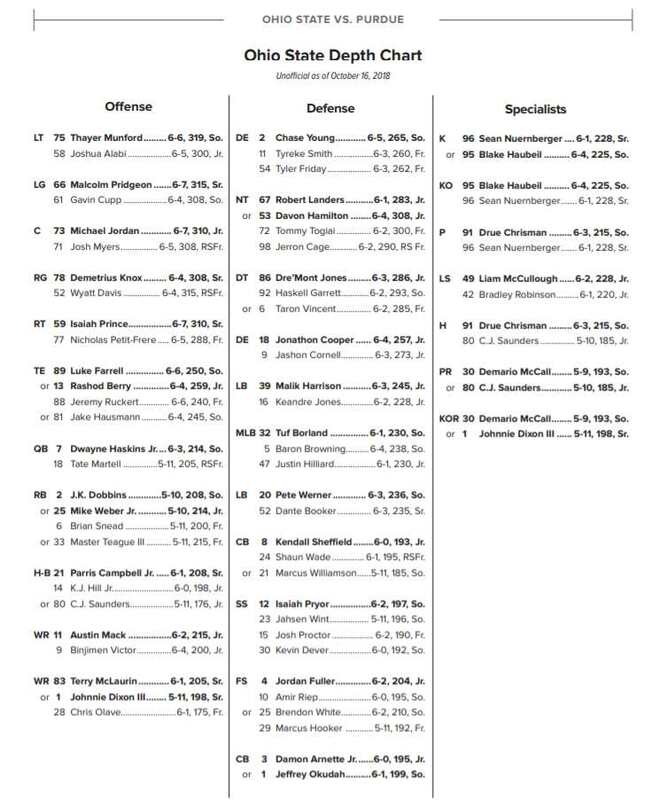 And that isn’t including redshirt freshman receiver Blue Smith, who has left the football team. With OSU bringing in just two receivers in the 2019 class, the expectations are for a larger receiver haul this time around. Ohio State already has two receiver commitments in the 2020 class with Washington’s Gee Scott (No. 13 WR/No. 65 Overall) and Texas’ Jaxon Smith-Njigba (No. 25 WR/No. 141 Overall). They are also involved with four of the top five receivers in the nation. Julian Fleming (No. 1 WR/No. 5 Overall) has been on OSU’s campus a number of times, though Penn State continues to be the Crystal Ball favorite. Washington DC prospect Rakim Jarrett (No. 2 WR/No. 16) has convinced some people that the Buckeyes are his favorite. They are currently the Crystal Ball favorite by a 2-to-1 margin over Tennessee. Ohio State is probably on the outside looking in on 6-foot-6 and 220-pound California prospect Johnny Wilson (No. 4 WR/No. 25 Overall), but there is certainly interest on Wilson’s part. Marcus Rosemy, out of St. Thomas Aquinas in Fort Lauderdale, is the No. 5 receiver in the class and the No. 32 player overall. Ohio State currently owns all six of his Crystal Ball predictions. It is still early, but things are looking promising for OSU’s receiving prospects in 2020.